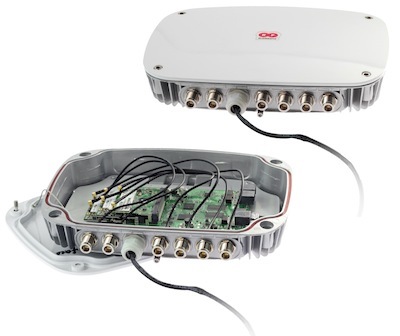 StationBox® ALU is IP65 rated outdoor enclosure for wireless platforms and access points. Casted aluminium construction is covered with UV resistant paint and offers excellent weather resistance and improved RF noise protection. 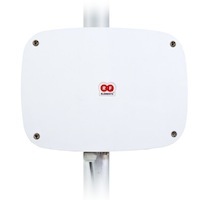 Inner mounting plate is made of ABS and has premolded holes for installation of most used wireless platforms as MikroTik, Other devices of choice can be installed as well. Paket ini hanya Box only, Tidak termasuk Routerboard, Pigtails dan Antenna. Tidak bisa digunakan untuk RB800. Corrosion resistance is enhanced by using only high grade materials. Enclosure is made of casted aluminium and covered with UV resistant paint. All hardware is made of Stainless Steel. Body screws are captive, they do not fall out when released. Mounting bracket is made of high resistant PA6 plastic and enables installation on the pole or on the wall. Installation is ease and quick. Mounting bracket made of plastic also helps to isolate mechanical vibrations coming from the pole to the enclosure and electronics.